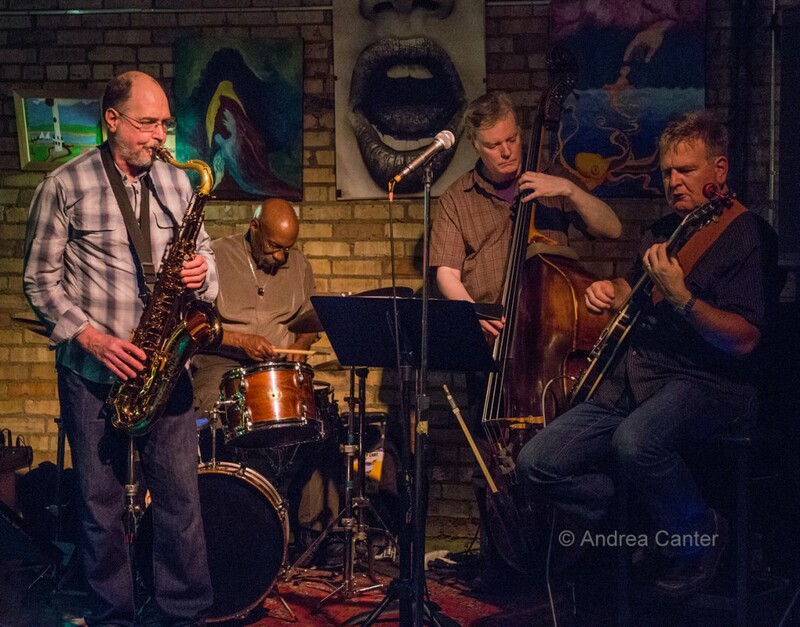 A new band of popular veterans arrived on the scene in early 2015, debuting on the Saturday Night Jazz at the Black Dog series, and since has performed around town at other venues. 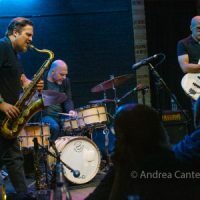 Bottomless Pit is led by guitarist Joel Shapira and features Pete Whitman (saxophones), Tom Lewis (bass), and Weather Report alum Eric Kamau Gravatt (drums). They return to the Black Dog this Saturday, July 9, at 8:30 pm, following an opening set from the veterans of the Pete Snell Trio at 7 pm. 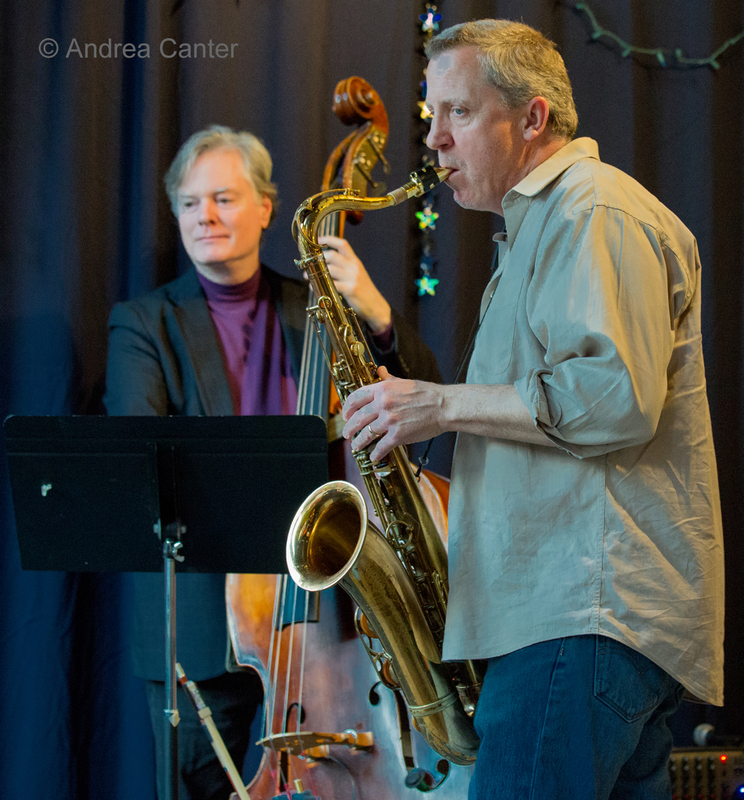 Saxophonist Pete Snell has been gigging around the Twin Cities for many years, as have his cohorts– pianist Phil Aaron (Phil Hey Quartet, Phil Aaron Trio, Lucia Newell, Joyce Lyons) and bassist Tom Lewis (Phil Hey Quartet, Charmin and Shapira and Friends). Veteran sax/flute performer, composer, and arranger Pete Whitman launched his career in Kansas City before moving on to jazz jazz studies at North Texas State University. He toured internationally with the Glenn Miller Orchestra, then moved to the Twin Cities in 1988. 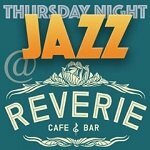 Pete’s credits on tenor, alto, soprano and flute include performing with Randy Brecker, Jack McDuff, the Woody Herman Orchestra,, Michael Feinstein, Debbie Boone, Rosemary Clooney, Barbara Dennerlein, Lavay Smith & Her Red Hot Skillet Lickers, Dave Stryker, Curtis Fuller and Andres Prado. 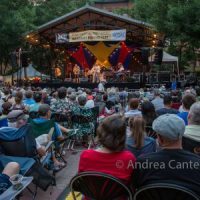 Perhaps best known as the co-founder and leader of the X-Tet, Pete also led Departure Point and works regularly with the Jazz MN Orchestra, Mississippi, and the Laura Caviani Quartet. He was commissioned to score the film, Been Rich All My Life, about a quartet of octogenarians reprising their dancing days in vaudeville. 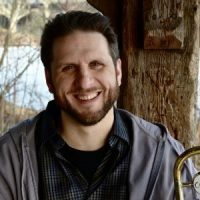 A dedicated educator, Whitman heads the Woodwind and Brass Department at St. Paul’s McNally Smith College of Music, teaching saxophone, improvisation, and arranging, and leading the McNally Smith X-Tet as well as his Pete Whitman X-Tet. 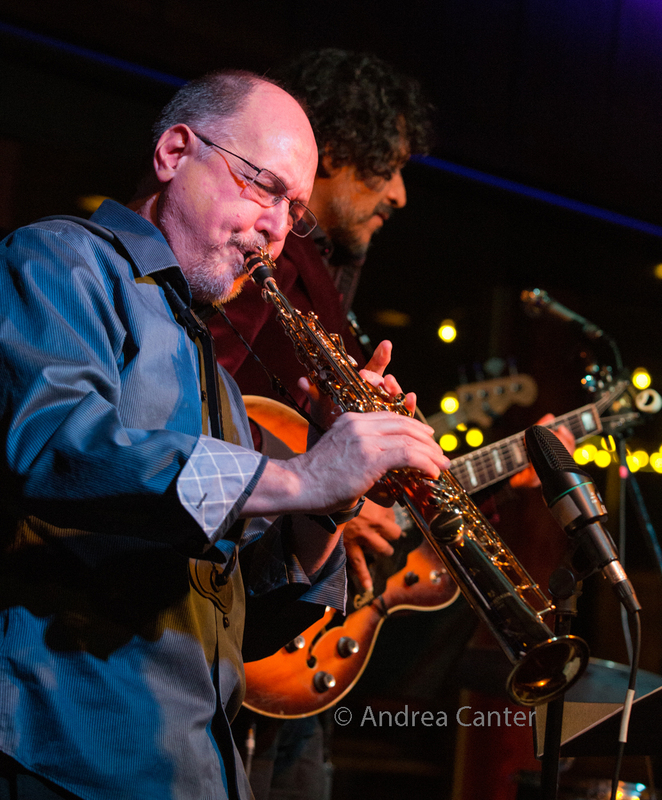 St. Paul native Joel Shapira studied at the Berklee College of Music in Boston and at the Mannes School of Music in New York City, as well as with Tal Farlow, Joe Pass, Sharon Isbin, and Anthony Cox. Active in the Twin Cities for the past 16 years, he leads his trio and quartet, provides the instrumental half of the popular duo, Charmin (Michelle) and Shapira and coleads their expanded Charmin and Shapira and Friends. 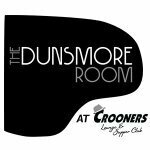 He’s led the ensembles Triplicate and Pooches Playhouse and frequently appears with Dean Magraw, Pete Whitman, John Devine, Vic Volare, Dean Granros, and a who’s who list of area vocalists. 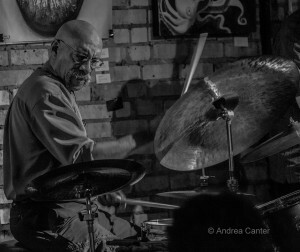 Joel’s recordings include two releases with Charmin Michelle (Pure Imagination, Dawning and Daylight), his quartet debut (Open Lines), two albums with Triplicate (Triplicate, Day and Age), a guitar duo with Jack DeSalvo (Inherence, 2014), and the live recording with Dean Granros, Jazz Guitar Duets: Live at the 2014 Twin Cities Jazz Festival. 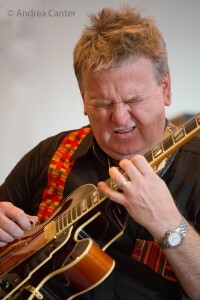 In addition to his frequent solo gigs, quartet, and pairing with vocalist Charmin Michelle (“Charmin and Shapira”), Joel has performed regularly at the Dakota and Vieux Carré with the expanded Charmin and Shapira and Friends, in solo at Vieux Carré, and of course keeps busy leading Bottomless Pit. Tom Lewis (bass) is a busy sideman throughout the Twin Cities, a “straight-ahead, hard bop, and bebop bassist and he swings like anything” (Don Berryman). He played in Eddie Berger’s last band, The Jazz All-Stars, and has appeared with such touring artists as Benny Golson, Mose Allison, Jim Rotondi, Slide Hampton, Lew Tabackin, and Charles McPherson . He’s a veteran of the Phil Aaron Trio, Out to Lunch Quintet, The Five, and Spiral Visions, and currently performs regularly with the Phil Hey Quartet and Charmin and Shapira and Friends. Tom appears on numerous recordings with area musicians. 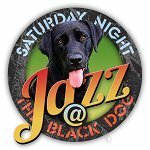 Saturday Night Jazz at the Black Dog is curated by Steve Kenny, a weekly performance featuring an opening set with a new ensemble or new configuration, and the headline set with veteran artists. There is no set cover but “tips” of $10+ appreciated to support the musicians and the series.